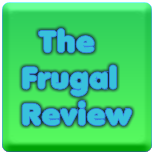 FRUGAL REVIEW: New Grocery Coupons. FREE ROLOS! Save 100% when you buy ONE (1) 1.7 oz. Rolo® Chewy Caramels in Milk Chocolate Roll..Expires 5/15/2016.Save 100%. Save $1.00 when you buy ONE (1) 64 oz. Musselman's® Premium Apple Juice..Expires 6/29/2016.Save $1.00.